The Mockingjay is a cross of a mockingbird and a jabberjay, used in the war between the Capitol and districts to spy on the districts and repeat what is said to the Capitol. 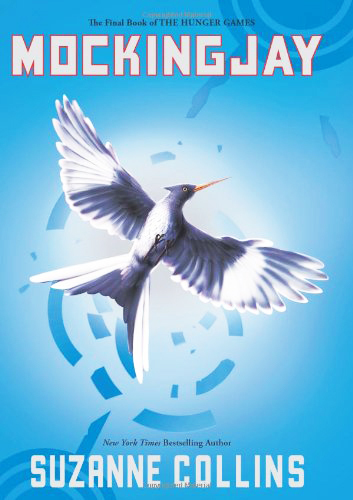 In this third and final book of “The Hunger Games” series, protagonist Katniss Everdeen becomes the mockingjay in an attempt to overthrow the tyrannical government of the Capitol. I recently reread “Mockingjay” and found it a little better than the first time I read it — probably because the first time I had just finished reading the second book in the series“Catching Fire.” I was anxious to get to the end of “Mockingjay” as quickly as possible to find out how the series ends. The first thing I noticed in “Mockingjay” was the epic foreshadowing the book gives from the start. If you have not read “Mockingjay,” shame on you. As the finisher of the “Hunger Games” series, it’s like buttercream icing on the best cake ever. It made everything better. Now, a disclaimer: If you’ve yet to finish the series, stop reading now. I would hate to ruin the book for anyone. Katniss’s bow reminds me of Green Arrow or Hawkeye, mostly because of the powerful elemental arrows Katniss is given to use along with it. While “Mockingjay” is full of heartpounding, nerve-bending action, one of the biggest jaw dropping moments of the whole entire book is when Prim, Katniss’ younger sister dies. The trilogy began with Katniss joining the games to protect her. As the book comes to a satisfying but somber close, an older Katniss reflects on her life and how she has lived — she plays a game where she reminds herself of all the nice things she has ever seen others do.